I was diagnosed with PCOS in February 2010. I again had another ultrasound of my pelvis three months ago and it said I have no PCOS. But, I still have all the symptoms I had before - irregular period, mid-cycle spotting, pain, vomiting, dizziness, more body and facial hair than before. I have been taking 1-gram evening primrose oil along with Vitamin B6 everyday for the past 3 months, pain killers during period - still, no effect. My doctor now wants me to get another ultrasound scan done. I always get an external ultrasound and not internal. I have been suggested to get the scan after I get my period. Does it really matter where I'm currently on my cycle when the scan is taken? Please help. Editor's comments: That's a question that is best answered by the doctor who ordered the scan. He or she is familiar with your situation and must have had a reason for the timing of the scan. A scan is not the sole proof of whether you have PCOS or not. A scan will show whether you have ovarian cysts or polycystic ovaries, which is not necessarily the same thing as polycystic ovary syndrome. PCOS is a "syndrome", i.e., a constellation or pattern of signs and symptoms. Many women have some of the symptoms of PCOS but not all the symptoms. A good resource for natural ways to treating reproductive system problems is The Women's Encyclopedia of Natural Medicine by Dr. Tori Hudson. 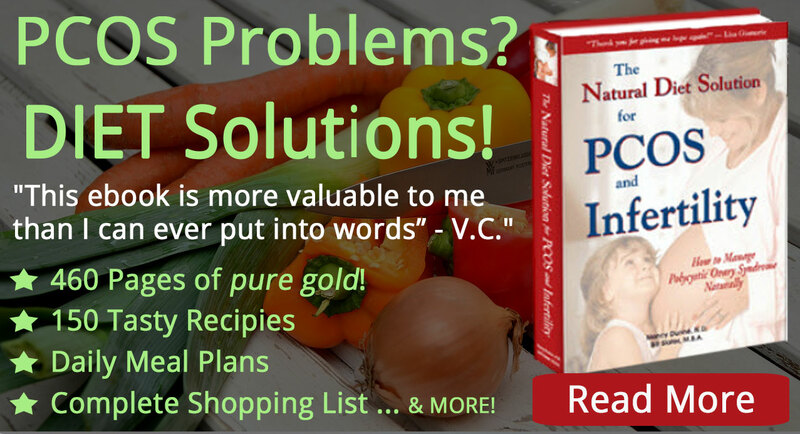 It also has a lot of information about nutritional supplements for menstrual problems. It's common for women to have a progesterone insufficiency. This is also known as "estrogen dominance". A nutritional supplement for this situation would be the herb vitex (chaste tree berry. Some of these questions are best answered by your doctor(s). I had previosly suggested you consult with a naturopathic physician. Did you have a chance to do that? They can be helpful in puzzling situations such as yours. Endometriosis could be involved in some of your symptoms. As a lacto-vegetarian, your diet might be unbalanced. 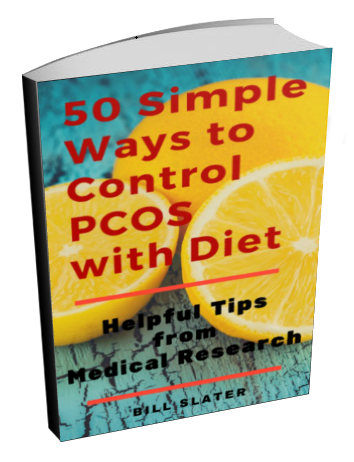 In our experience, a vegetarian diet is generally not conducive to solving PCOS-related problems. Very briefly, the main issue is balance between protein and carbohydrates. Vegetarian PCOS women tend to have a problem with protein adequacy, and with carbohydrate sensitivity. Vegetarians run the risk of protein inadequacy, which creates two problems we're concerned with here. First, protein is essential for body functions. If you don't consume enough, the body will take the protein it needs from "unnecessary" places such as muscle tissue in order to continue vital functions. 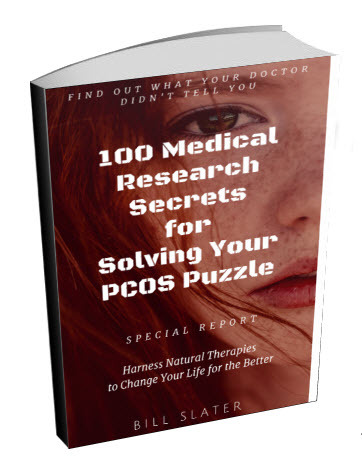 Degraded muscle and other tissues make it more difficult to overcome PCOS. Second, when animal protein is absent from the diet, there is a tendency to replace it with plant-based proteins, which tend to have a relatively with carbohydrate content. Carbohydrate intolerance or sensitivity is a major problem for a very large percentage of women with PCOS. In other words, they have an exaggerated insulin response to dietary carbohydrate. The resulting insulin disturbance eventually leads to a condition called insulin resistance, which is considered to be the root cause of PCOS. Many vegetarians tend to consume larger amounts of processed foods containing grains or legumes such as soy. 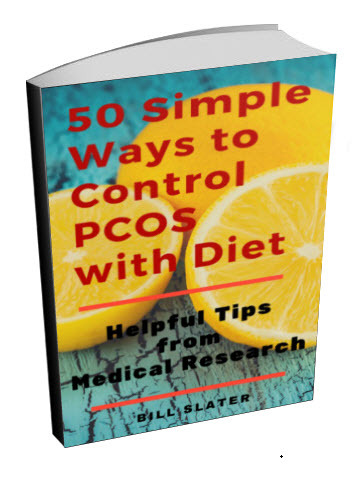 From our perspective and based on the research we've done, it appears that increased consumption of processed carbohydrate-rich foods fuels insulin resistance and a multitude of PCOS-related symptoms. 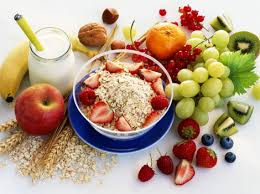 We strongly advocate consumption of fresh vegetables and some fruits and nuts/seeds. But where will most of the protein come from, if not from flesh foods? Dependence on dairy products as your primary protein source is not the best course of action, in our view. Of course, it depends on what specific dairy products you're consuming. Milk would be the worst. Yogurt is better. Cheese not so good. Whey protein powder is probably the best source. Maybe you can broaden your protein content to include eggs and fish? These are outstanding sources of protein. Consider consuming protein daily and preferably some at every meal. We're not big fans of soy-based foods, as a primary source of protein. Hmm. I'm back. I went to a women's hospital and the nurse ordered me a trans-abdominal US. It revealed cysts on both ovaries - many! More than 20 on each and the doctors stopped counting. I have a blood work due. I was quite angry because, a scan that was taken a month ago was "normal". Unfortunately, I was initially suggested to go to "cheap" imaging centres and yes, no doubt, the person who took the scan was not well informed. I had other problems too there. I knew from my heart that something was wrong. I was initially sent to the women's hospital to get checked for endo. I did not have a period for 49 days and I got it today! I suffered as usual, from day 25 or so until I got my period - mild but continuous aches in the back, calf muscles, sometimes at different places in my pelvic region, breasts, giddiness most of the time. Sometimes it pains on one side of my lower tummy, more like as though my muscles are getting pulled in. I feel like floating some where in mid-air most of the time, had almost fallen down several times, poor memory. It hurts. Now, I have my period and down with period pain. I had two Naprogesic tablets and had a long nap! I have almost got used to pain in my life, not exaggerating, but it has become a part of me. I have some questions. Since my doctor suspected me to be having endo as well, could the cysts partly be indicating endo? I have excess body hair than before, but not too much like having to shave. But, I find it comes back sooner after they are removed. My hair fall is too much, though I'm gifted with a long hair, it's just thinning out and looks like a long rope. Lol! How many cysts are normal on day 35? How do I manage my symptoms that give me trouble from day 25 until my period? I end up having a bad time for a month or so and it is affecting my career. One more thing. I am a lacto-vegetarian. My career requires me to work hard, but unfortunately I'm not being able to do so. Complex food plan may require too much time which I cannot afford. What do you suggest? Thank you. Thank you very much for being supportive. My trans-abdominal ultrasound did not reveal any cysts. It says the endometrium is not well seen but is not thickened. What does it mean? My period is always delayed (35 to 50 days gap) and more than usual amount of hair growth on my body. Recently, I saw my GP with complaints of stabbing pain in my left side of tummy, constipation, hard bowels followed by dysentery and rectal bleeding (no specific order-just random and crazy). An abdominal x-ray showed a moderate to marked faecal loading throughout my large bowels. I was told that I wasn't "emptying" enough. I was prescribed movicol. I took 3 times more than the prescribed dose. It hasn't worked yet. May be, I will wait for a few more days. The breast pain, calf muscle pain and fatigue throughout the month still exist. This has also made me feel extremely depressed and driven me into feeling very low about myself as my health is interfering with my studies. My doctors (two GPs) think I may have endometriosis and I have been referred to see a gynecologist. I will talk to the specialist about the tests you have suggested. Do you think there is a chance that it could be endometriosis? Thank you. 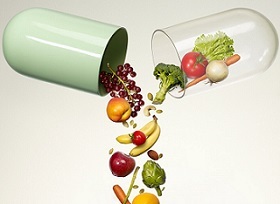 Editor's comments: Doesn't sound like anyone knows what is causing your health problems. Could be endometriosis plus some other problems. Who knows? That's why you need an in-depth diagnostic workup plus lab work to find out what is going on. If there is a licensed naturopathic physician, I would suggest you consult with one. They can be helpful with complicated situations like yours. Something is obviously wrong and I don't know what it is. If I were in your shoes, I would work with one or more doctors and try to gather as much information as possible and then analyze it, in an effort to identify the hidden causes of your problems. I would start with a complete blood test and complete urinalysis. The blood and urine can provide very important clues as to what is going on inside your body. By a blood test, I mean a Multi-channel blood chemistry, complete blood count with differential, fasting insulin, glyco-hemoglobin A1C, serum magnesium, and thyroid panel, as a minimal starting point. I would also consider a high-sensitivy C-reactive protein or sed rate test, to assess the level of inflammation. A urinalysis is also recommended. This testing may lead to additional testing, depending on the test results. Without data, you and your doctor are simply making an educated guess as to what is disordered in your body. In a situation like this, educated guesses are probably insufficient to solve the problem. PCOS and endometriosis are disorders distinct from each other even though they have common elements. It sounds unlikely, but could part of the problem be pelvic inflammatory disease (PID)? PCOS and/or Endometriosis or is it normal?? Thanks again for your help. The skin rashes have gone almost completely. But, it has left dark marks around my neck. 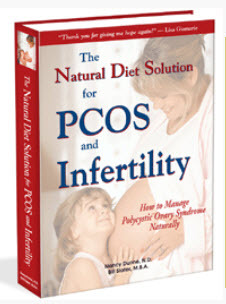 Does it suggest anything about PCOS? Since my period is never regular, I suffer from symptoms from day 20 until I get my period (day 45 or 60). I get pain in my calf muscles, back, general weakness, vomiting sensation, giddiness, low blood pressure, incontinence.... I almost waste a whole month suffering from symptoms that I can't really explain to others. It is frustrating when I'm unable to do any work that I love. My doctor advised me to wait for a few months for another scan. 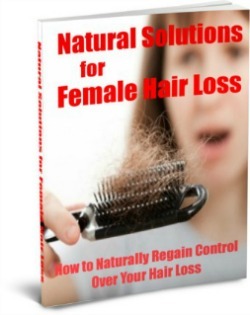 As you have mentioned, the previous scan showed no signs of PCOS with the follicle count. But, I have all the symptoms - a little more hair on the body than usual, delayed period, more acne...She now put me on a BCP (Levlen ED). I started on my period and had it just for a week (3 Sugar tablets+4 with active ingredients). The bleeding was lighter although the pain was more. I had 8 Naprogesic tablets over two days which left my tummy burnt for a week. My period ended and I still had lots of pain in my calf muscles. An Ultrasound scan was taken checking for blood clots in my legs. The result was favorable-no blood clots. Now, as advised by my doctor, I'm off the pill after 7 days. I find that I have got my period yet again on day 9. I have the same kind of leg pain, back ache, vomiting, tiredness once again. My tummy pains more on the lower left side. I usually have mid-cycle spotting after day 10 or 12. But, this time it is a little more than just spotting. Is it because I came off the pill after 7 days? My doctor also suspects I may be having endometriosis. I'm really confused. I feel like I'm not myself, I don't work as much as I did and I just want to get back myself sooner. Thanks very much for your support. Yes, number of follicles is considered in a diagnosis of polycystic ovary syndrome. The sudden drop in blood pressure accompanied by skin rashes is a bit of a mystery. Since you used the word "sudden", possibly you are reacting to something to which you were unknowingly exposed? Or it could be PMS. Or adrenal fatigue. Or any number of things. Or a combnation of things. Your doctor will have to figure out the cause(s). My doctor wants the follicle count. Is that one used for the diagnosis of PCOS? Has PCOS/PMS got anything to do with sudden dip in blood pressure and skin rashes? My blood pressure has dropped down from 120/80 to 110/65 to 100/60. It has happened so quickly. I feel very dizzy. My doctor thinks low pressure could be because of PMS. I haven't been prescribed any medication and I just lie down when I feel dizzy. This is really disrupting me from my passion of doing what I love. I do not understand. My blood results - hormonal levels, iron levels, Vitamin-B12 were normal three months back. So, it is my blood pressure that is making me dizzy. Any suggestion or advice is much appreciated.